According to a new report from Fast Company, Apple and Intel are preparing to build an Intel modem into a system-on-a-chip which will include Apple’s A-series processor, the GPU, and some other iPhone components. If this report is accurate, Intel may takeover Qualcomm’s business with Apple. Apple has been using Qualcomm since 2011 and Intel could potentially dethrone Qualcomm by gaining major business from Apple. An iPhone with a 5G modem would theoretically be capable of connection speeds of one gigabit per second or more, but the industry’s transition to support 5G will take some time. 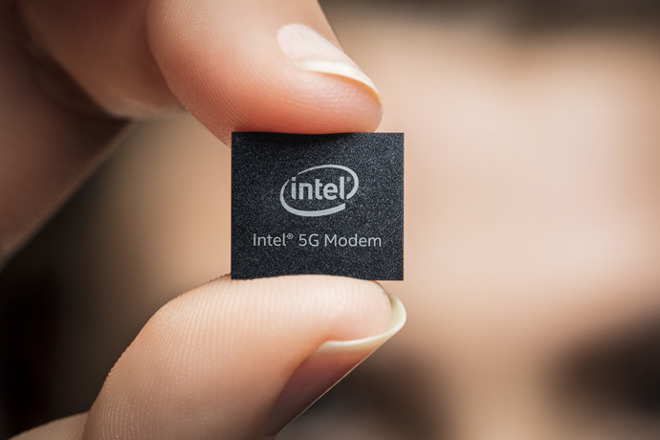 The report suggests that Intel could supply a 5G modem for an iPhone debuting in 2019 or 2020. Apple started using Intel chips in iPhones with the iPhone 7 and 7 Plus and is using a combination of Qualcomm and Intel chips in the iPhone 8 and 8 Plus that debuted in September. Signs point to Apple moving away from Qualcomm chips entirely, removing them from iPhones and iPads and relying on Intel chips and possibly those made by MediaTek.